Nigeria: Hundreds of people, including many women and children, were killed in ethnic violence near the city of Jos in Nigeria at the weekend, officials say. 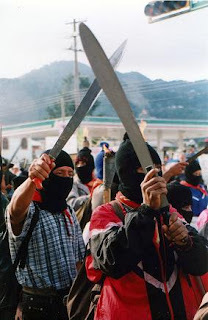 They said villages had been attacked by men with machetes who came from nearby hills. Jos has been under a military curfew since January when at least 200 people died in clashes between Christians and Muslims. The latest attacks are said to have been reprisals for the January killings. An adviser to the Christian-dominated Plateau state government, Dan Manjang, told AFP: "We have been able to make 95 arrests but at the same time over 500 people have been killed in this heinous act." Mark Lipdo, from the Christian charity Stefanos Foundation, said Zot village had been almost wiped out. He said: "We saw mainly those who are helpless, like small children and then the older men, who cannot run, these were the ones that were slaughtered."